Last May 4th was a public holiday here in the UK but Peter was in Hong Kong and did not use his May 4th holiday. We made up for it last weekend since today, May 25th, was another banking holiday here in UK. We decided to go away to France for 4 days and decided to use the Euro tunnel “Shuttle”. In order to beat the massive traffic that was going to take place on Friday, we decided to hit the road Thursday night after Peter’s work. After driving through some major traffic in Chelsea, (we made the mistake to drive by the Chelsea Garden Show!) and then crossing London’s East end, we finally arrived in Folkestone/Dover just before 10 pm. We stayed in a little hotel by the sea in order to catch some zzs and be able to get up first thing in the morning to get on the shuttle. At 5 am either one of us could sleep anymore. We just wanted to hit the road. I had purchased a “Flexi-Plus” ticket to get on the shuttle. Best thing ever. You can get on whenever you are ready. You have a dedicated line for you, no waiting, and you can stop in the lounge get free food, coffee, etc….We were driving in front of everyone did not wait at all so as far as we are concerned, best way to get across the channel. 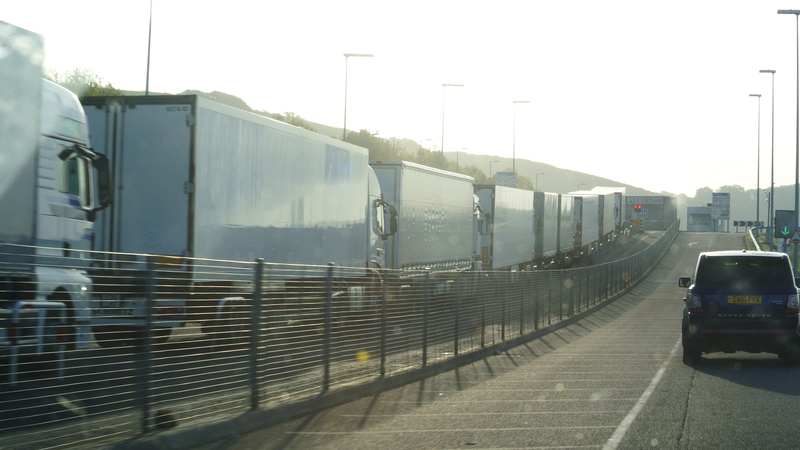 The line of trucks waiting to get on at 6 am! 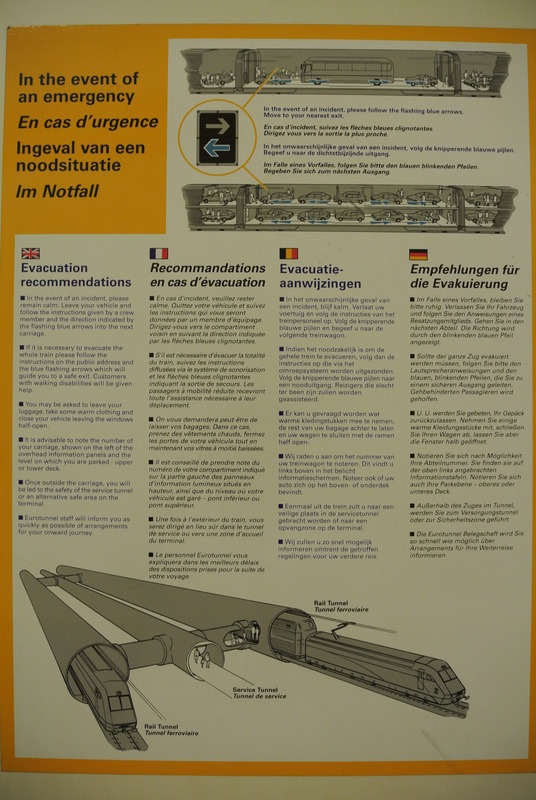 In case of emergency! The engineering is pretty amazing. 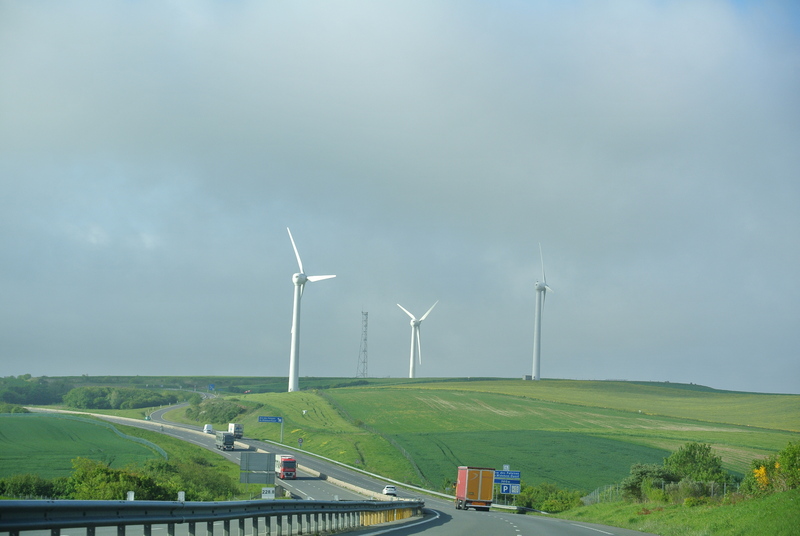 Once in Calais we just drove to our B&B. I had booked us a room at Le Vieux Château B&B in Le Renouard, just outside Vimoutiers. We arrived 3 hours and 15 minutes later, just around lunch time. 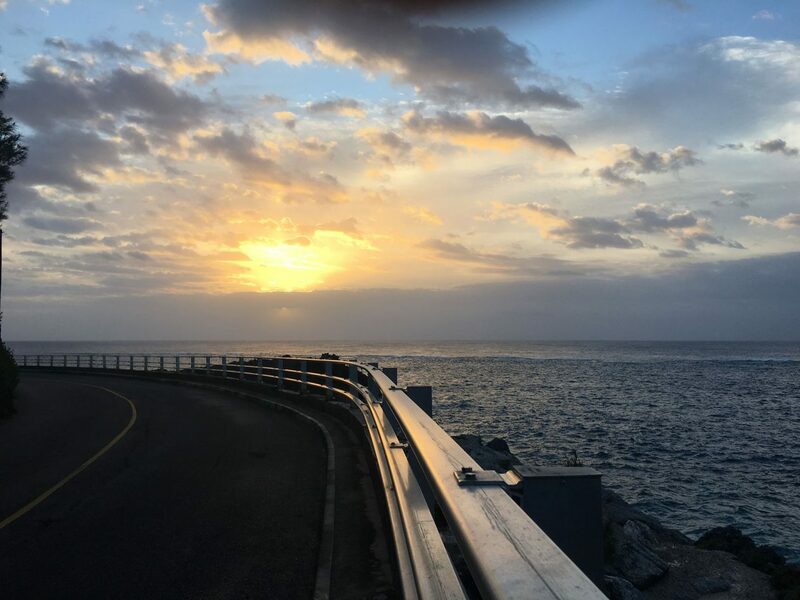 We couldn’t believe how lucky we were. 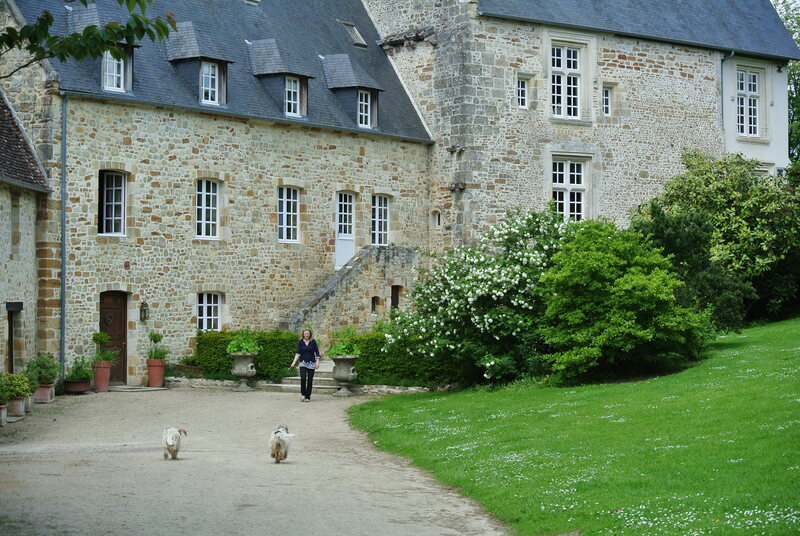 Le Vieux Château which is owned by a retired English woman sat in the middle of a valley. Part of it is from the 900s. It was occupied by a troupe of SS officers during the WWII. It was absolutely beautiful. 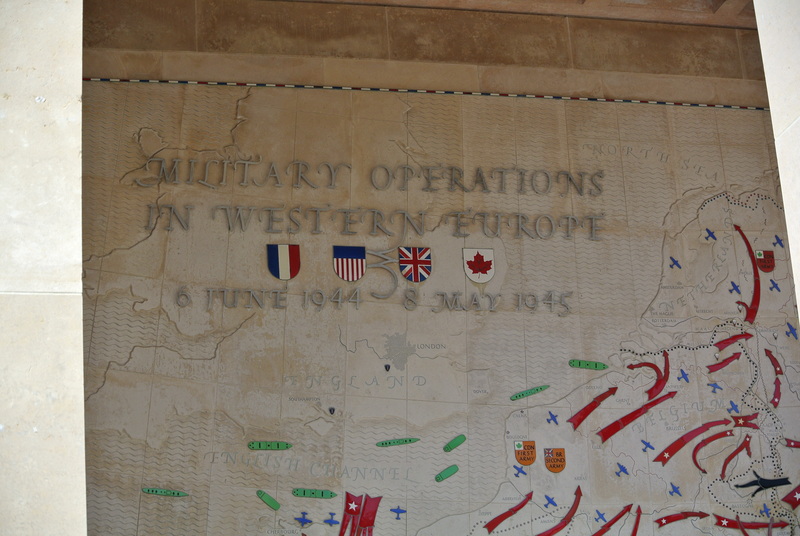 After checking in and meeting our wonderful hostess and her two dogs, we set out and drove North East to Juno Beach. 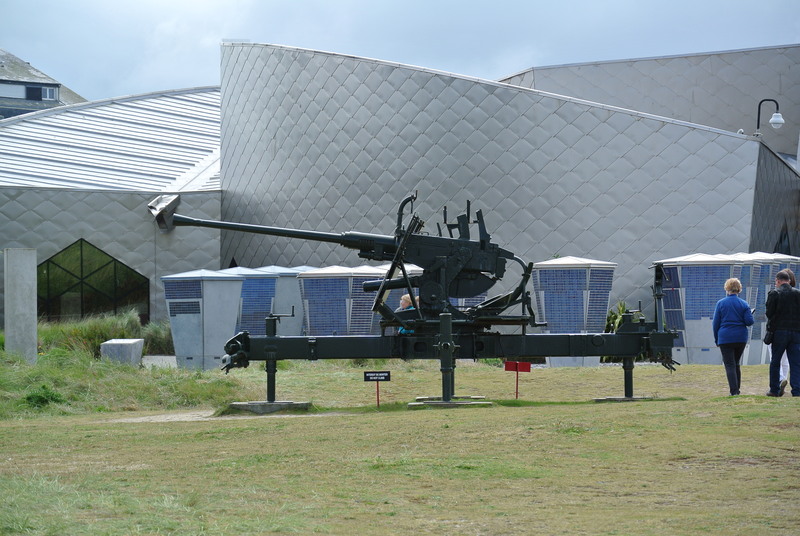 There we took a tour and saw German bunkers and heard the story of how the Canadians landed on Juno Beach on June 6th, 1945. 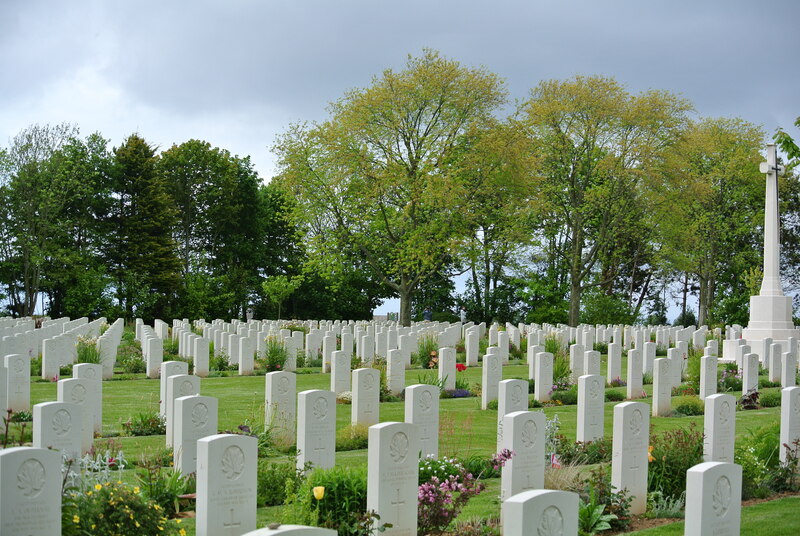 After our tour and walking through the museum we inquired about the Canadian War Cemetery and found out it was down the road in the village of Beny-sur-Mer. 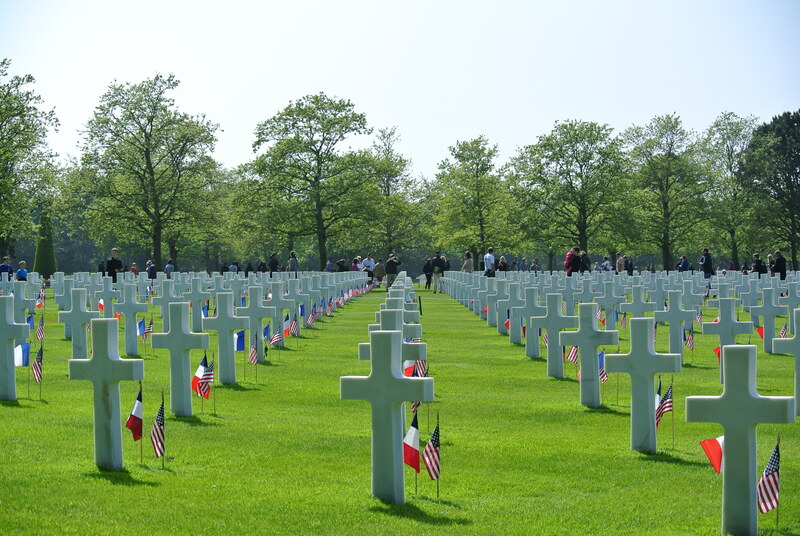 This cemetery is solely dedicated to the fallen soldiers in the liberation of Normandy. 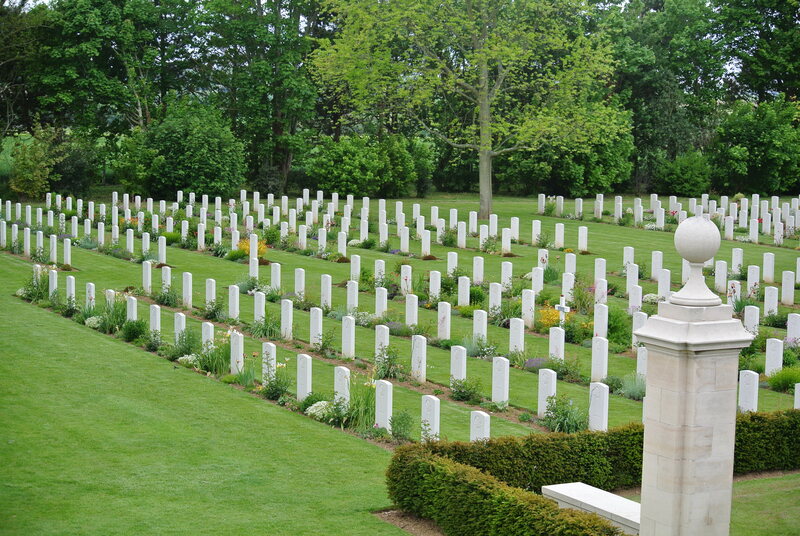 We were told that there are also other cemeteries with fallen Canadians soldiers all over Normandy. 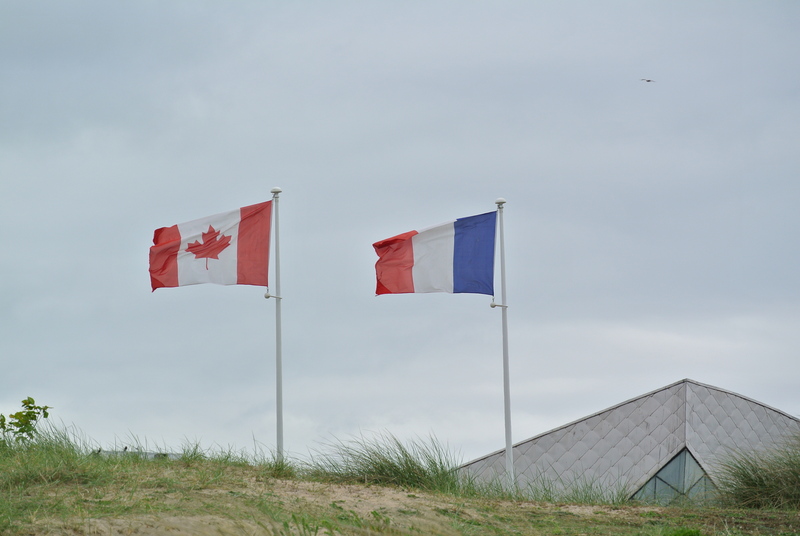 Everywhere we went there were Canadian flags. 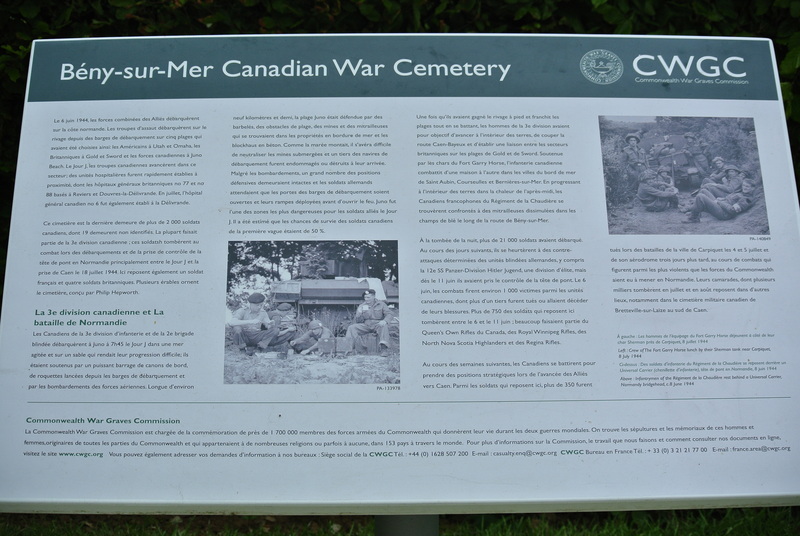 Small towns such as Lisieux, Vimoutiers, Montreul and others, have plaques dedicated to Canadians in their town centers. Makes you proud to be a Canuck! 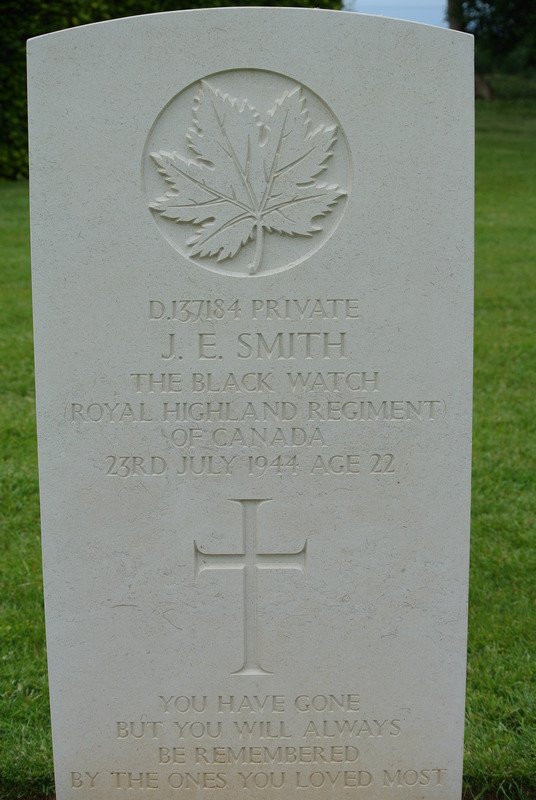 I found a fallen soldier from the Black Watch Royal Highland Regiment. This is the same regiment associated to the BCS #2 Cadet corps. After all this driving, reading and sightseeing we stopped for a Calvados tasting in a shop in Caen. Calvados is an apple brandy made in the region. 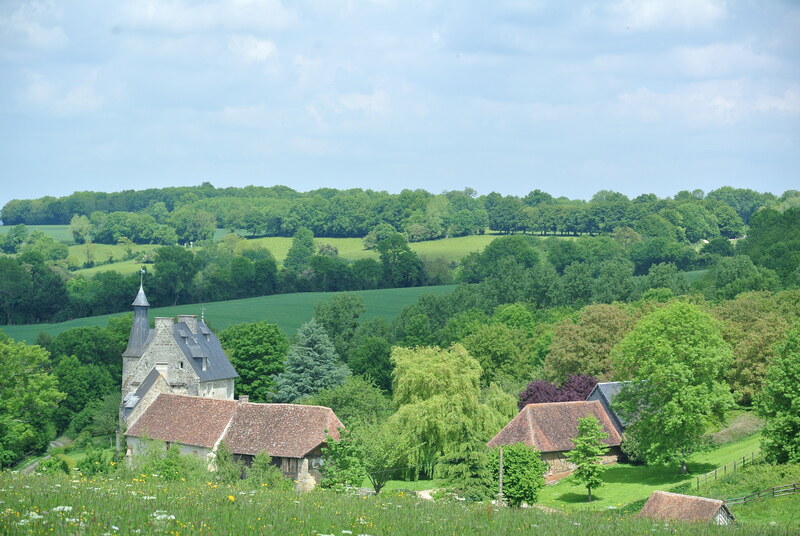 We were instructed on how to drink it, what to look for etc…we spent 20 minutes in the shop tasting Calvados and eventually buying a 15 year old bottle plus some apple cider which is very popular in the region. Soon, we had to leave since we had a rendez-vous at a one star Michelin restaurant called “A Contre Sens”. 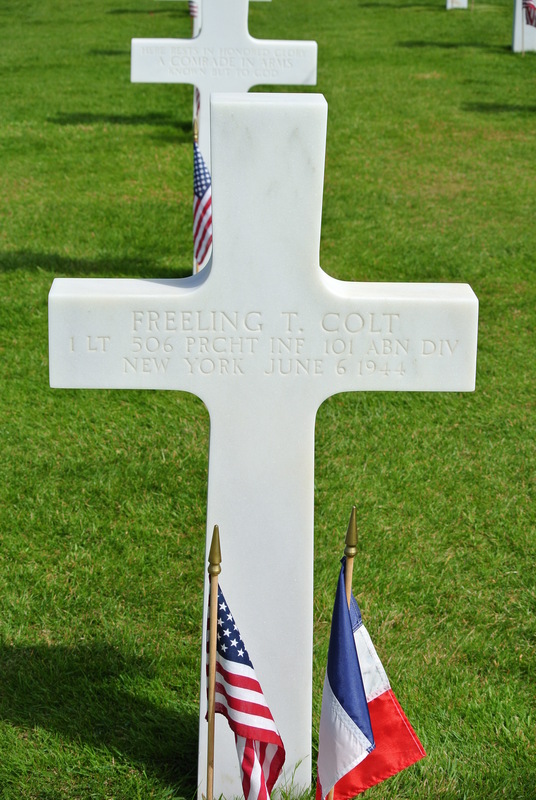 If you are ever in the vicinity of Caen, I highly recommend it. Excellent food and the price cannot be beat. Caen was an hour from Le Vieux Château. We finally made it back to our B&B around midnight. Exhausted but happy we had spent a great first day in Normandy. 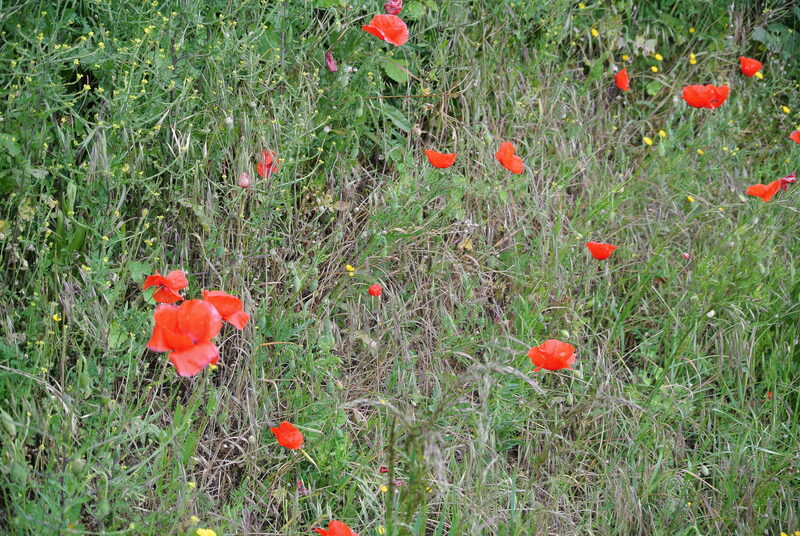 You can find poppies on the side of the road. Samedi c’était au tour de Bayeux. Après avoir fait la grasse matinée nous sommes descendus pour le petit déjeuner vers 10 heures. 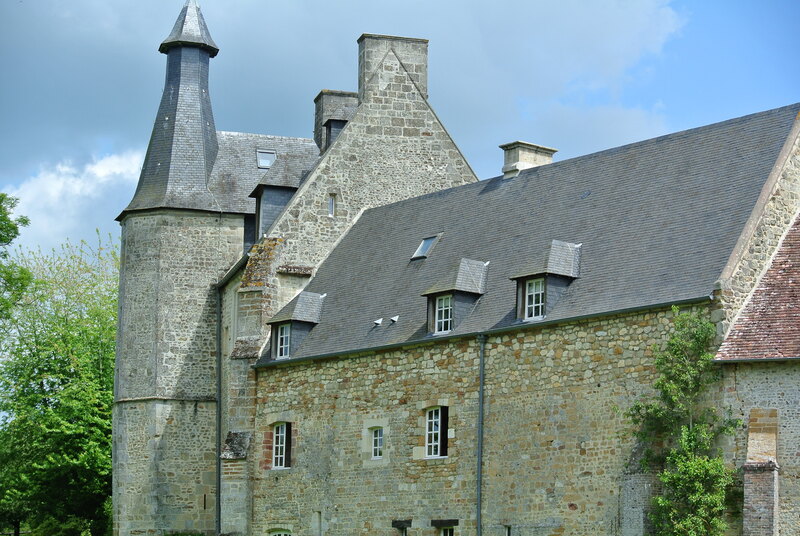 Nous avons quittés le Château aux alentours de 11:30 et nous avons pris la route pour Bayeux. Je voulais aller voir la tapisserie de 70 mètres, qui a quasiment mille ans. Cette tapisserie qui explique la guerre entre Guillaume le conquérant et le roi Harold. Très intéressant et la condition de la tapisserie est superbe. Après avoir vue la tapisserie on s’est dirigés vers le musée de guerre et cimetière Britannique. En marchant dans les rues de Bayeux nous avons arrêtés à la boulangerie pour acheter des sandwichs et des pâtisseries, (you know, when in Rome), et c’est aussi en marchant dans la direction du musée que nous avons trouvés notre marchand de vin. Après une grande discussion sur les bons vins, nous avons achetés 4 cartons (24 bouteilles) et avons demandés au gentil Monsieur si il pouvait les mettre de côté pour nous pendant que nous visitions le musée de guerre. Il nous a répondu, “pas de problèmes, je suis ouvert jusqu’à 20 heures! Venez les ramasser quand vous serez prêt!” Ils sont gentils ses Normands! Nous sommes allés visités le musée de guerre Britannique. 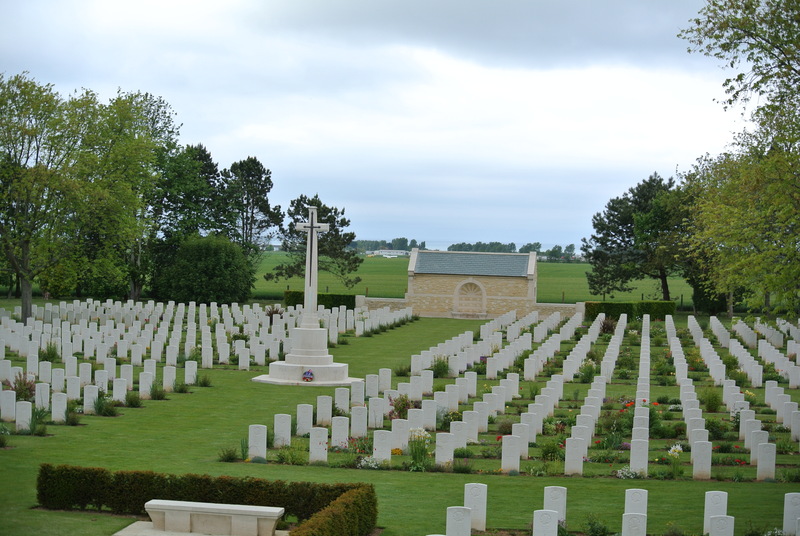 Bayeux a été libéré par les Anglais. 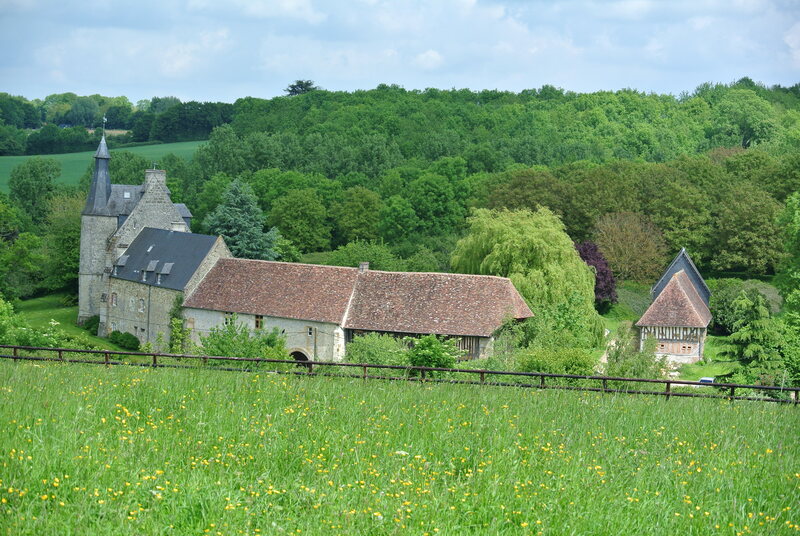 Le village de Bayeux a été chanceu car il n’a pas été touché du tout durant la guerre. Bien des villes dans les parages ont été rasés mais rien à Bayeux. 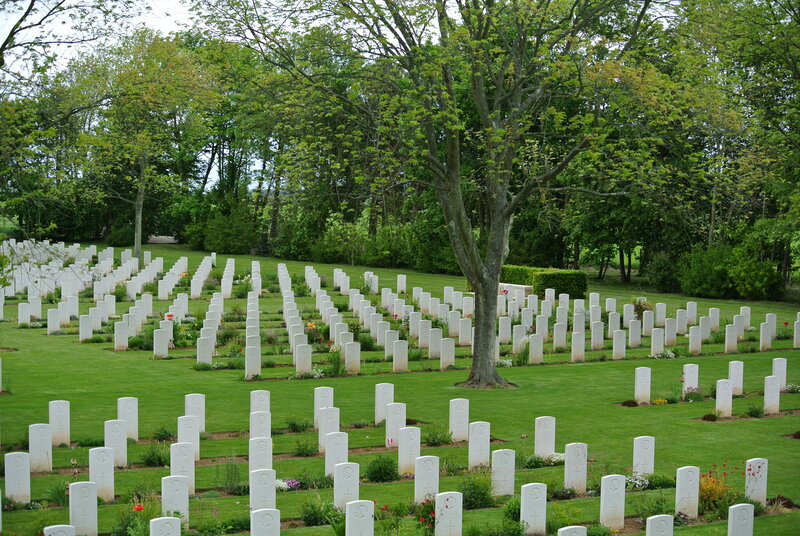 Après avoir visités le musée et le cimetière Britannique nous sommes retournés à la voiture et avons pris le chemin pour Omaha Beach. 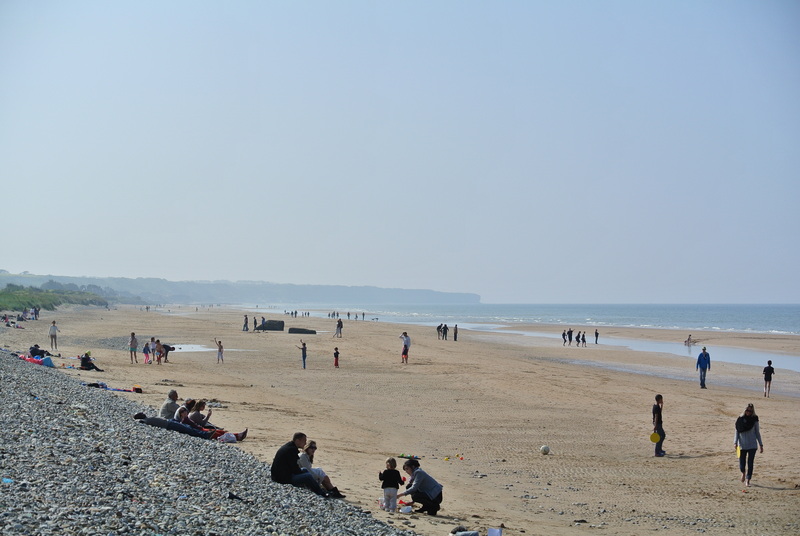 Omaha Beach is impressive. The sheer size of it, the grounds and the way it sits overlooking the Atlantic ocean. 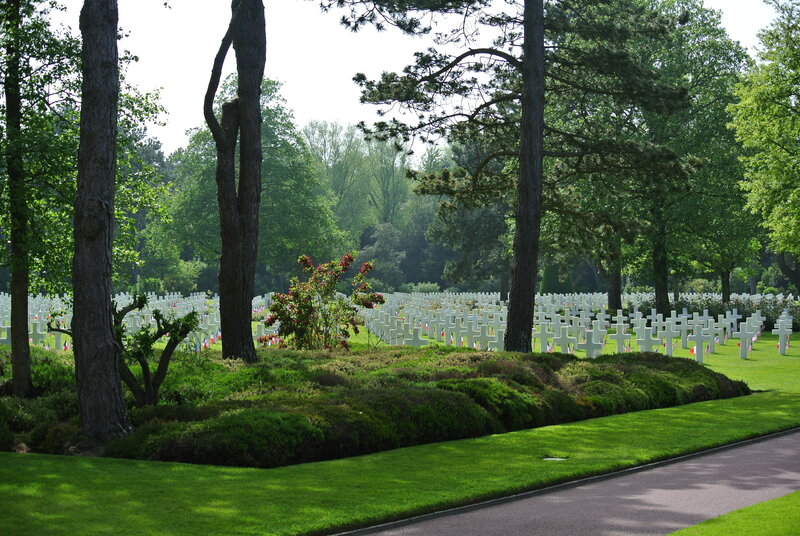 The cemetery is not only used for fallen soldiers during the battle of Normandy but also for soldiers during the entire WWII. 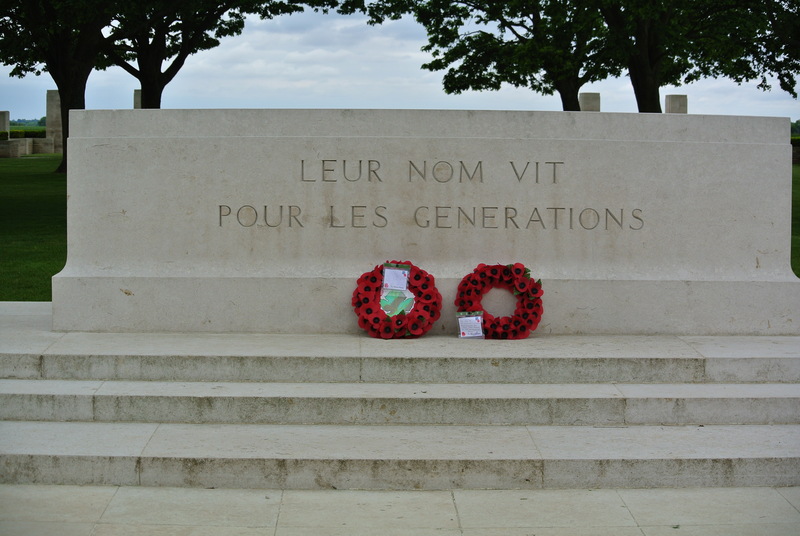 We found soldiers who had died in 1942, 1943 and unfortunate souls who died just a few months or weeks before VE-Day. It is by far the grandest one. We found a fallen soldier who belonged to the 101st AB. Currahee! 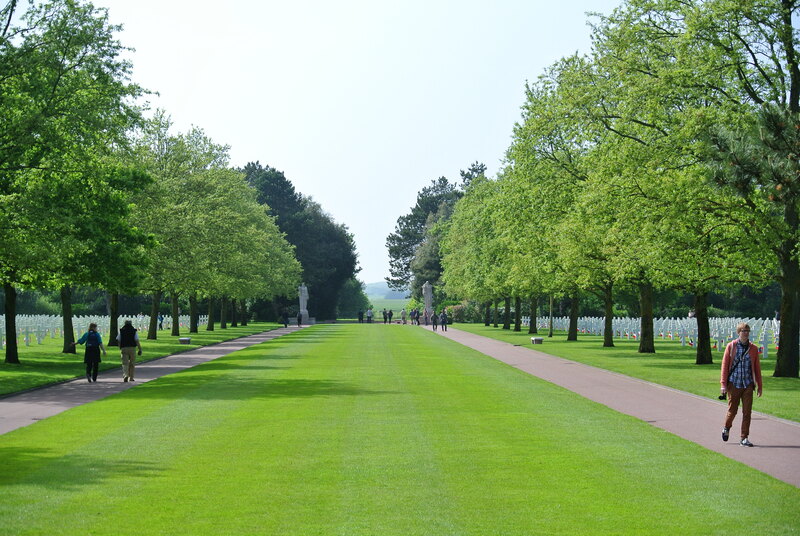 The grounds are just immaculate. 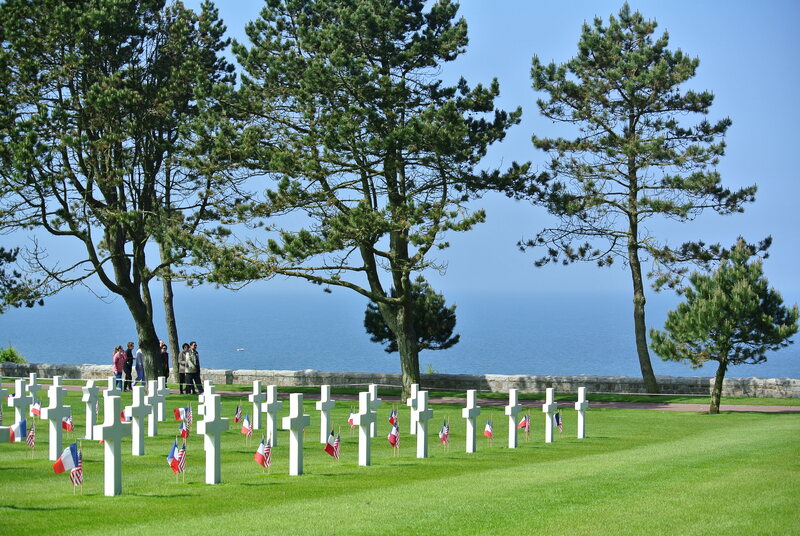 Walking down to Omaha Beach and watching local kids play you can’t help but wonder if they realize the sacrifice the men buried on that hilltop did for them. 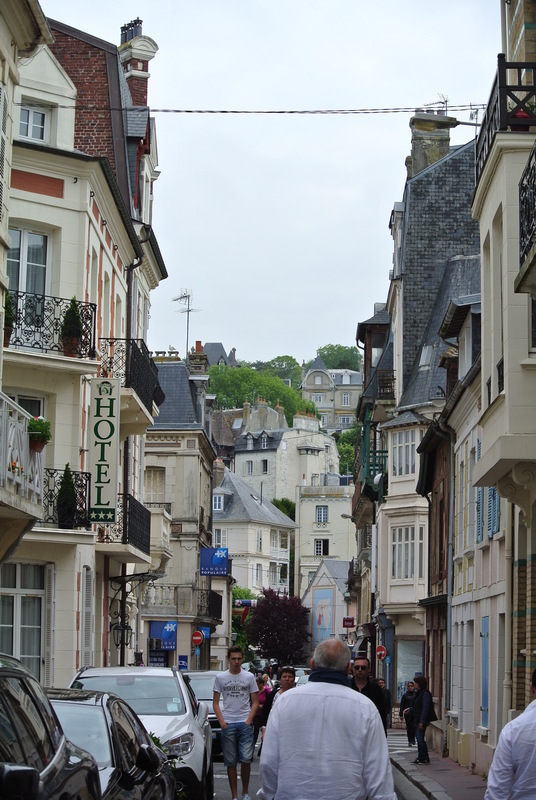 After some walking on the beach we retreated to Bayeux. Picked up our wine and made our way to our dinner reservations. I had found a restaurant in Bayeux called “La Rapiere”. The reviews were good so I thought we should try it. The reviews were right. The food was excellent, the wine even better and the people were very nice. I have another recommendation, if you are in Bayeux, go visit Linda and Simon at “La Rapiere”, you won’t regret it. Sunday we decided to take it easy. 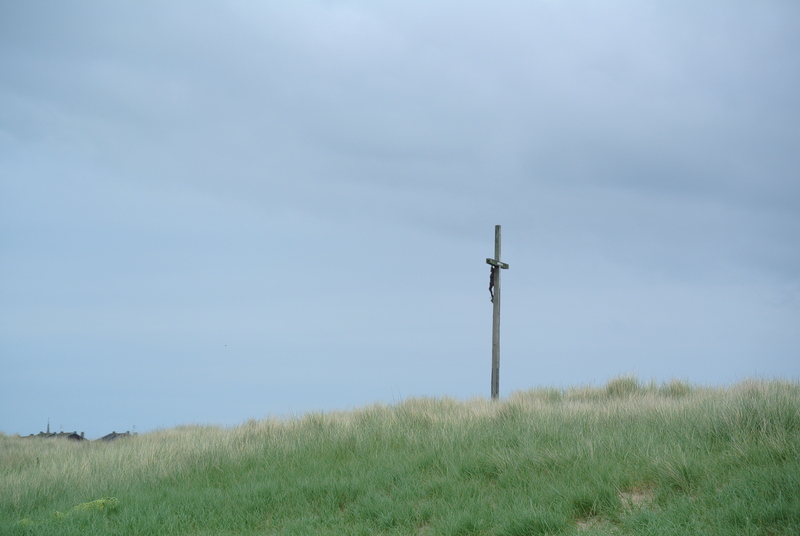 We wanted a break from cemeteries and sightseeing. We just wanted to walk around a village and people watch. 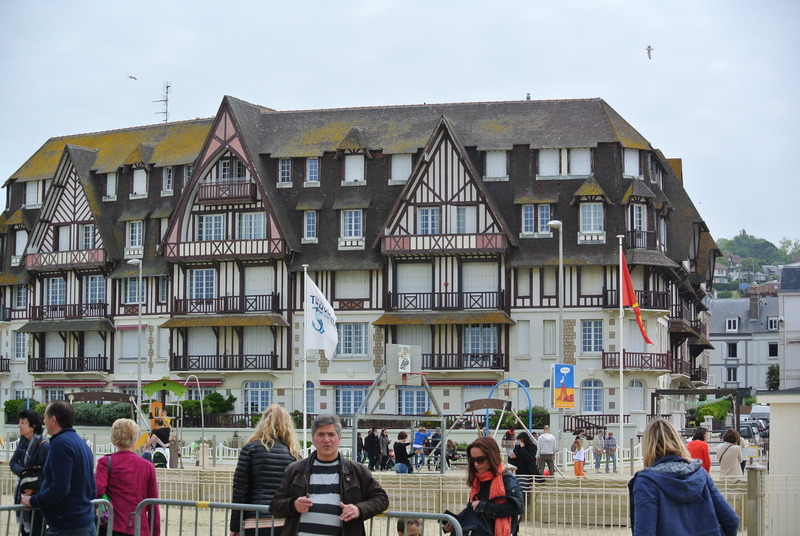 Our inn keeper recommended Trouville-sur-Mer. 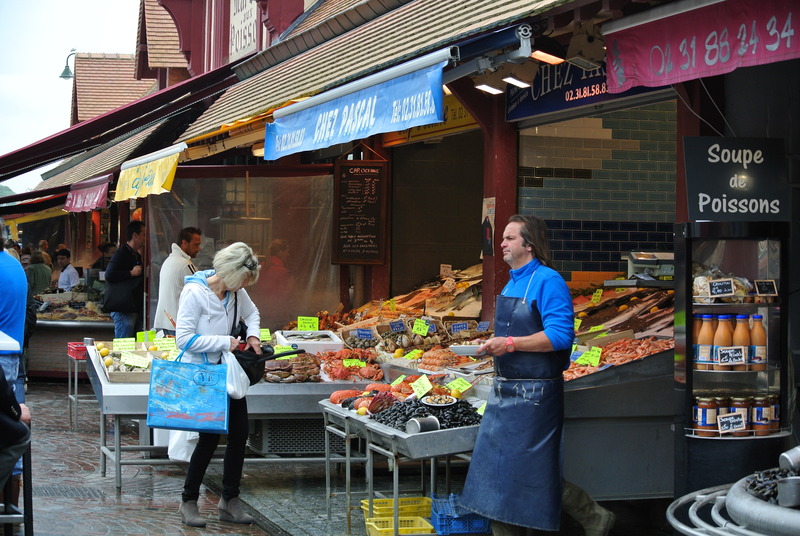 She said they had a great Sunday market and we should go try out the seafood. She told us to go to one of the seafood shops with a table with a bucket. 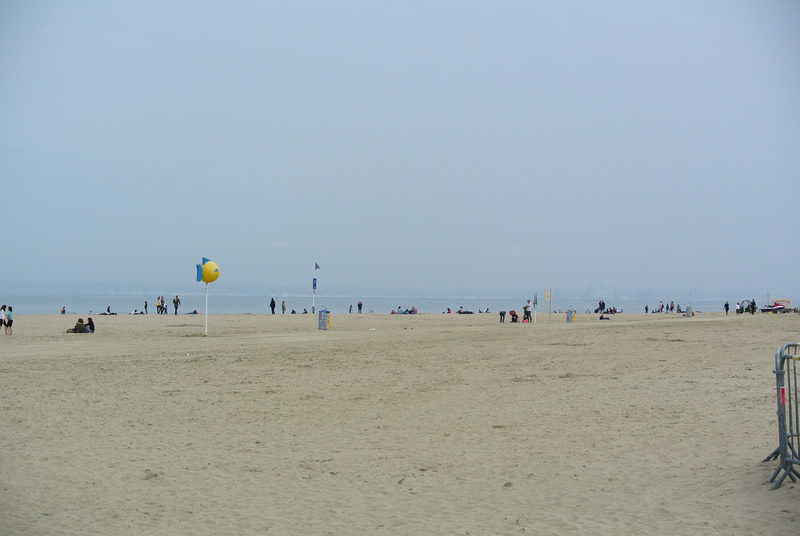 Off we went, Trouville-sur mer is north of the Château and just across Deauville. We parked at the local train station and just in time. As soon as we arrived, there were no more parking spots. We made our way down the street towards the ocean and found the seafood market. The inn keeper was not kidding. You basically sit at a table, a waiter comes and says “what would you like?” You just point to the seafood you want, (in our case we shared 1 lobster, 2 crab claws, 2 huge gambas, Peter had 6 oysters, and 10 snails), and of course I had a glass of Sancerre and Peter a glass of Muscadet to wash everything down. It was wonderful just sitting there, peeling our shellfish, throwing stuff in the bucket, eating and drinking. What a lovely meal. After our feast we went for a walk on the beach. 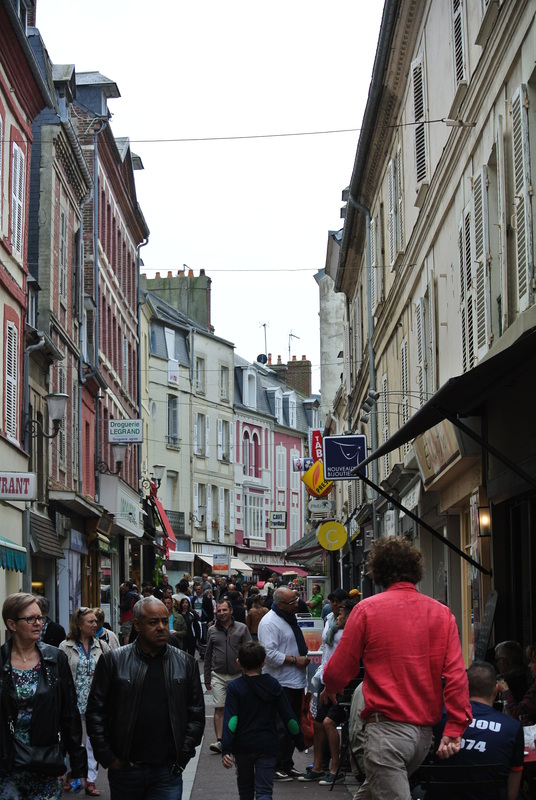 Trouville was packed with tourists. We decided to slowly make our way back to the B&B. We didn’t have any dinner reservations so on our way back to the car we decided to pick up a baguette, some cheese and saucissons and bring everything back to Le Vieux Château for dinner later. 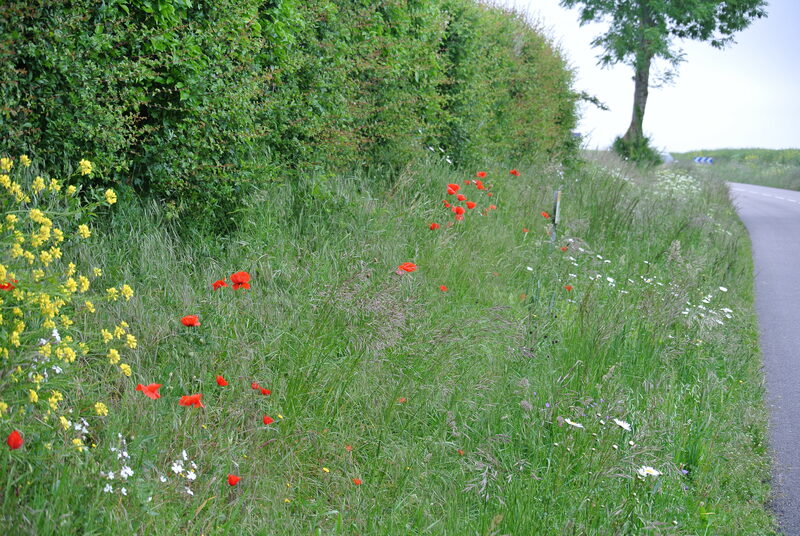 We slowly drove back through the Normandy countryside and made our way back to Le Renouard. We spent the evening chilling and eating at our Chateau. Exquisite!